Refugees from Ukraine lived in Uzbekistan during the war. Growing up I had always heard about “The Joint,” but did not know exactly how the organization had helped my family. As the senior curator of the Temple Emanu-El Museum in New York, I knew that many of JDC’s early founders had been congregants of the historic temple. As I continued to find documents with a JDC connection in my professional life, my curiosity was piqued. What was my personal connection to the humanitarian aid organization? Had the Joint really had a hand in shaping the fate of my family? I decided to search the JDC Names Database for my mother’s Chabad-Lubavitch family who were originally from Ukraine but fled to Uzbekistan as refugees. I was astonished to find the name of Chana Reva Gurevitz. 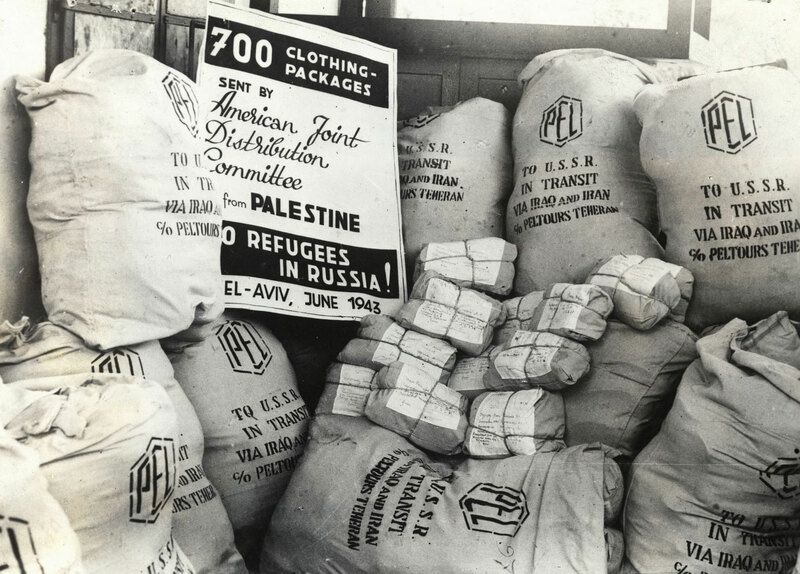 My maternal grandmother’s name on the 1943-1945 document indicated that she, along with 6,556 other refugees, received JDC parcels in the Soviet Union and the liberated territories. The packages, which included tea, soap, essential clothing, blanket and medicine, were facilitated by the Joint and sponsored by an aunt living in the U.S. This record indicated that the family was at the time living in Samarkand, Uzbekistan’s second largest city. 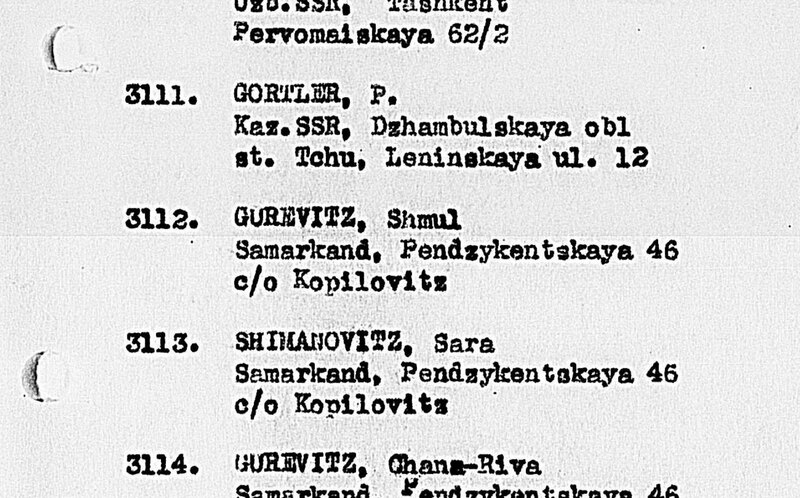 In 1938-1939, my grandfather Rabbi Zemach Gurevitz was arrested for religious activity and sentenced to a labor camp in Siberia, with the official charge being that he was an alleged spy for the British. When the war began in 1941 my grandmother Reva, was evacuated from her home city to Samarkand under harrowing circumstances, as a single mother with three children. 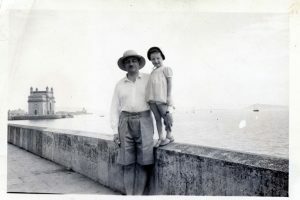 In 1943, Zemach managed to escape from Siberia and reunite with the family in Samarkand. My mother Sara was born in 1944. When I continued to peruse the JDC document, I found names and addresses of additional relatives in Samarkand. The document helped me to piece the story together with incredible detail, I discovered that my grandmother’s family was living near her mother, aunt and uncle, a detail I had never known. This document helped bring to life a quiet detail of the war-time conditions, the strength of the community and the small acts of heroism that helped my family survive and ultimately thrive. 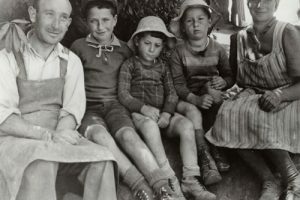 Zemach and Reva and their four children, including my newborn mother, went to Germany after the war where they lived in the Schwäbisch Hall Displaced Persons (DP) camp for 8 months, one of the many DP camps where JDC supported medical facilities, schools, synagogues, and cultural activities. They were then sent to a town outside of Paris, where the private Chateau of the Eiffel family was retrofitted as a DP camp. Here the Chabad families, having escaped together, lived side by side, and my mother Sara, then 3, lived in the same house as my father’s family. 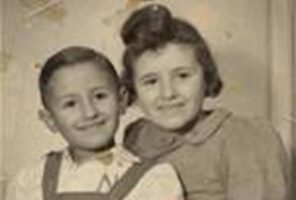 My mother’s family then moved to Cuba and eventually set sail for Brooklyn in 1950, thus ending the family’s refugee saga. This JDC record illustrates one small part of my family’s dramatic journey. Every surviving family has remarkable stories of chance encounters which helped save them along the way, and one of ours was with the family’s assistance from “the Joint.” The archives are a tremendous resource — not only as a resource for historical records but as testimony to the importance of engagement in times of distress, as well as the long-reaching legacy of communal commitment. This story has been shared with permission from Elka Deitsch. Ms. Deitsch is a member of the JDC Archives Committee.